I am writing this from Hamburg, Germany, one week into the D&F Academy Theatre ChallengeLab. I learnt of the D&F Academy Theatre Fellowship in December 2012 via Opportunity Desk. I applied to join the Academy and was successful. The Fellowship in one year long, includes ten weeks in Hamburg Germany (ChallengeLab) and ten months implementing DreamPlans, the ideas presented in the application for the fellowship. I am loving the ChallengeLab already. 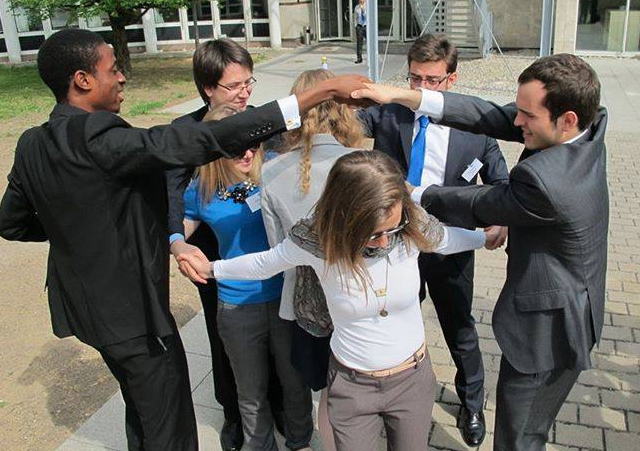 We are seventeen Fellows, from more than ten countries of the world, selected from a pool of many applications. I am grateful to Opportunity Desk for the service they are rendering to us at no cost. I nowadays tell my friends who are not yet in the Facebook group, to style up. I have indeed added many to the group. This is a goldmine. Congratulations Brian, we are super proud of you. Have a swell time in Germany! What you need to know about Scholarship application. I begin by letting you know that I have been a beneficiary of multiple scholarships and I thank God (Allah) for His grace. Many of us young people dream to win a scholarship to pursue higher education in our own countries or abroad. While there are many platforms for finding scholarship opportunities like ‘opportunitydesk.org’, scholarship application remains a ‘tough competition’ to many of us. First thing you should know is that the first point of interaction between you and the scholarship selection committee is your application and therefore you must have to take extra caution during your application. Applying for scholarship is equivalent to making a multi-million investment in your life and future. The real litmus test is making a winning application which incorporates a well filled application form, personal statement, essay, recommendation and finally having a successful interview as required by some scholarships. In this series, I will discuss a few tips to boost your package when making scholarship application. I have been a beneficiary of multiple scholarships and I thank God for His grace. Many of us young people dream to win a scholarship to pursue higher education in our own countries or abroad. While there are many platforms for finding scholarship opportunities like ‘opportunitydesk.org’, scholarship application remains a ‘tough competition’ to many of us. I will discuss a few tips to boost your Personal Statement when making scholarship application. Many people confuse Personal Statement with Essay. A personal statement, NOT ‘essay’, is a writing that relays autobiographical information about the applicant. Personal statement gives you the opportunity to describe a few aspects of your life to give the potential sponsor a picture of who you are as an individual who is different from all other competing applicants. It’s an opportunity to highlight your strengths, talents and potential, and typically serves as a means of adding a personal touch to the application. You can highlight your personal history, family background, your exposure to educational and cultural opportunities, and how these factors have shaped you as a person. Include your special interests and abilities, career plans, and life goals, extra-curricular participations, awards you have won, etc. But remember to write about positive side of your life or how you have turned challenges into opportunities, you know what I mean. The personal statement should show a good command of the language used in application, as least errors as possible, brief or detailed and straight to the point depending with the required length but normally you will be given a maximum amount of words. In the last paragraph, give a good conclusion with a strong statement ‘re-requesting’ to be considered for the scholarship. Does your personal statement tell a story about you that make the selection committee members want to meet you? Does your statement show that you are capable of doing great things given the opportunity? Does it show that you care about other people? Does it show how the scholarship program fits in with your personal and professional goals? Does your statement show any significant accomplishment or contribution that you have made to your field or to your community? I begin by letting you know that I have been a beneficiary of multiple scholarships and I thank God for His grace. Many of us young people dream to win a scholarship to pursue higher education in our own countries or abroad. While there are many platforms for finding scholarship opportunities like ‘opportunitydesk.org’, scholarship application remains a ‘tough competition’ to many of us. I will discuss a few tips to boost your Essay when making scholarship application. In scholarship application, Essay is a piece of writing that describes a particular or specific subject whether academic, description of a particular life event, personal motivations or characteristics. Most scholarships will provide you with a subject or a guide. While the personal statement and essay may share the similar structure of introduction, body paragraphs and conclusion, they differ in content. When writing an essay please take note of ALL the given instructions or guidelines. Content development: Don’t expect your first essay to be perfect! So write it early enough and give yourself time to go through it over and over to develop your content, perfect it and come up with your best thoughts. You should employ more technical terms and cite specific quotes or statistics if necessary to show your experience of broad knowledge of the subject you are writing about. Do not fear to prove what you know! Overall checks and balances: Check for overall length, structure, sentence flow and tone before you rest your case. Many of us young people dream to win a scholarship to pursue higher education in our own countries or abroad. While there are many platforms for finding scholarship opportunities like ‘opportunitydesk.org’, scholarship application remains a ‘tough competition’ to many of us. I will discuss a few tips to boost your Letter of Recommendation when making scholarship application. Many scholarship applicants may not realize the contribution of good recommendation letter to your application. In fact, most scholarships or job interviews check your recommenders, their organizations and positions. For most scholarships, letters of recommendation form one of the extremely important parts of applications towards winning the scholarship. The type of recommender you have as your reference provides selection committee members with a glimpse of the type of applicant you are as well as set you apart from other competitors. For example, having recommendation from an Assistant Secretary or from a Senior Professor does not carry the same weight, you get what I mean? Just like job recommendations, most scholarships would expect three types of references; from academic, social and/or professional reference. Academic reference will be from your Professor or lecturer, Social references are such as your community leader or religious leader, and Professional references are from companies where you have worked, or from organizations you have been involved with. When looking for a recommender, look for professionals such as academic professors, your boss at work, etc. The recommender should know the applicant well enough to provide specific information about him or her for the time they have known each other. Recommendation letters should be honest, free of hyperbole, and provide specific information about the particular applicant. Do inform your recommender about the scholarship you are applying for and if possible update him/her on the developments of your application status. Specific information about the applicant: These include qualities of the applicant for example, leadership, valuable research, representing the university in different conferences attended, etc. How long the recommender has known the applicants. Recommender can place the applicant into a larger context. For example, by stating that the applicant was among top 3 best students in class, etc. Mention of applicant’s potential if given further opportunities. I wish you success in your applications. So next time, I will continue by sharing Tips to Boost your Scholarship Interview. Many of us young people dream to win a scholarship to pursue higher education in our own countries or abroad. While there are many platforms for finding scholarship opportunities like ‘opportunitydesk.org’, scholarship application remains a ‘tough competition’ to many of us. I will discuss a few tips to boost your package when making scholarship application. Fill the form appropriately and avoid filling misspellings. Do not leave blanks unless it’s optional and only where necessary, especially check marks such as [*] for mandatory questions. Do not mistake to fill ‘official use only’. Follow instructions such as ‘fill in with BLACK BLOCK letters’ if applicable. Minimum or no errors shows your accuracy and keenness while handling critical and detailed tasks. Failure to directly answer the questions being asked only hurt your chances of obtaining a scholarship. Other than providing standard information like your name, age, address, answer open-ended questions with ultimate care. Other than your strengths, know other facts like the groups group you belong to. For instance, are you of a minority race? This is because some scholarships only target some particular groups of candidates and you wouldn't want to miss this opportunity. The more you full understanding yourself the better you are in answering more open ended questions with depth. Proofread your application form again and again to clear errors. Type your application but if you must hand write, make sure that your handwriting is legible. Due to large number of scholarship applicants, the sponsorship committee may not have enough time to struggle decoding messy handwriting. They are likely to discard your application if they cannot read or understand. 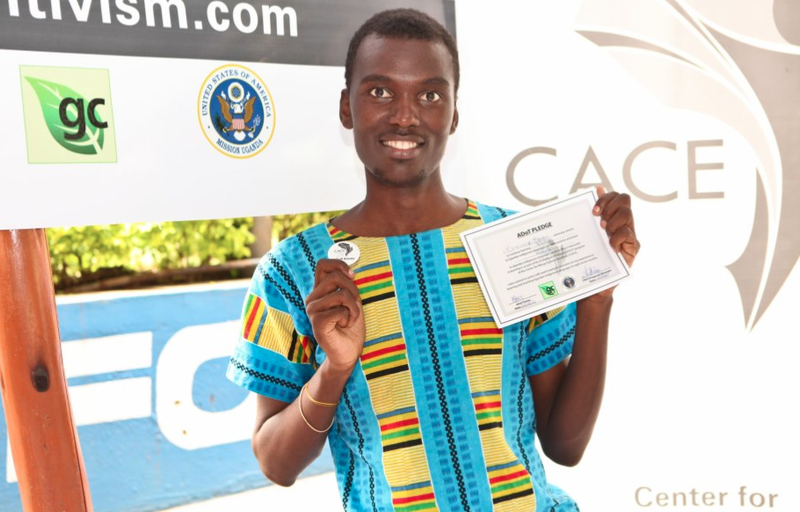 Congratulations to Opata Chibueze who got selected and sponsored to join the world's best students at the 2014 P & G International IDS Challenge in Frankfurt, Germany. "I learnt about the P & G International IDS Challenge in a funny way -- thanks to OpportunityDesk and Facebook Ticker; at a time I barely had time, I noticed a gossip saying my friend liked P & G International IDS Challenge page. Being the curious me, I decided to check it out, information about the competition and link to apply was on Facebook so it was simple to apply and took just a couple of minutes. After the online test, I was invited for the reasoning test at Lagos where I met Ovie Newton for the first time. It was fun to meet a lot of smart students at the P & G office in Ikeja and I can’t easily forget the mixture of excitement and disappointment on our after the time-starved challenging test. Few of us scaled through the reasoning test which was typically followed by series of interviews before the final confirmation that I had been selected to represent Nigeria. It was really an exciting moment and everything else happened so fast. We were divided into four teams of 6 people each from different regions in the world and assigned our first business case which we had to tackle virtually in order to present on the first day of the event (7th April). The event itself was fully action packed and our trainers a.k.a. The Magic Team kept us busy around the clock either solving business cases, learning new things, or having fun. It was a great privilege and honor to be among the world’s best students during the event and I must confess the event very much exceeded my expectations. I was exposed to the P & G values and principles and learnt a lot about IDS and Business Intelligence. The business cases exposed us to real life IDS problems as well as how to solve them. We had coach feedback sessions after the presentation of the solution by the IDS Challenge Trainer’s team and these sessions were priceless to our individual personal improvement. Personally, I learnt a lot about myself and how to work better in team by letting people around me know how I prefer to work as well as listening and understanding the perspective of others. Overall the experience was heavily immersive and I got to also learn a lot about working in P & G. Even if nothing else, I learnt that diversity and innovation is something you can be guaranteed of in P & G. we were privileged to dine with top managers and directors in P & G who gave us a lot of insight about work-life-fun combination inside P & G.
It is an experience I will like to go through again any day, any time, any moment and I’m really glad for every single person who made it come true. 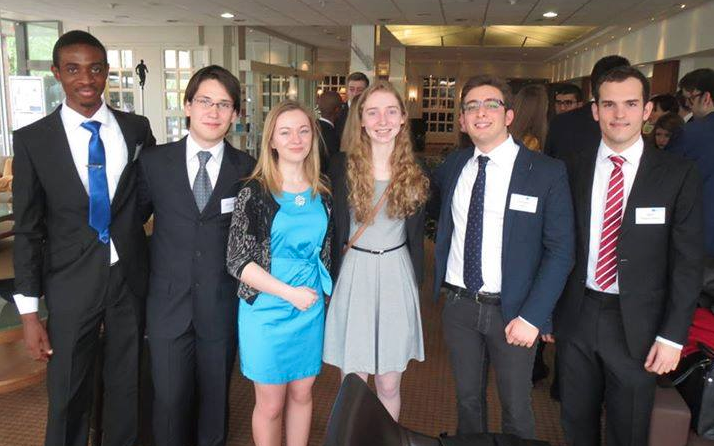 The International IDS Challenge is something I would really recommend for every student who is privileged enough to hear about the challenge and even if I cannot guarantee of anything, I can assure it will not be an experience easily forgotten. And to Grace and all the Opportunity Desk crew, all I can say is, keep the flag flying, you never know how many you can actually touch but it’s certainly more than the number in the group." Well done Chibueze and we hope to hear more success stories from you all. Remember, opportunities keep knocking, but it's our conscious choice to say, "HEY, IT'S YOU, COME RIGHT IN"! 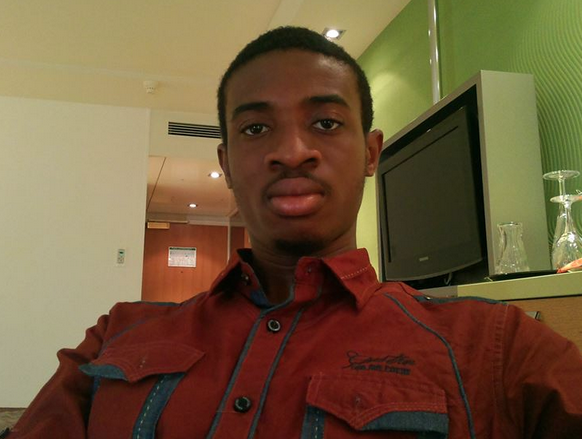 It is exciting to read another success story from Dr Charles Akhimien, a 24 year old medical doctor from Nigeria. Charles is the winner of this year's World Environment Day Blogging Competition organised by the United Nations Environment Programme (UNEP) and the official blogger for World Environment Day 2013 (www.unep.org/wed/news/blogwinner.asp). This is an amazing feat and we celebrate him. Read the rest of his message about three other awards and opportunities he received this year since getting in touch with Opportunity Desk! I represented the UN in Mongolia in June of this year for world environment Day and I have just been named winner of the UNEP World Environment Day Blogging Competition making me the official blogger for WED 2013. Opportunity desk has been of great help to me since August. I have been able to get a veritable source of promising opportunities for young people. Through opportunity desk I have applied for over 7 different opportunities, with 3 being successful. I got accepted to participate as a Delegate in the Global summit Youth Programme (GSY) in malaysia next month, which will be all-expenses paid. Thanks again for bringing these great opportunities to us. We are super impressed with Dr. Charles achievements and celebrate him. Keep searching and take advantage. He applied to 7, but was successful at 3. You can never tell just which application would go through! 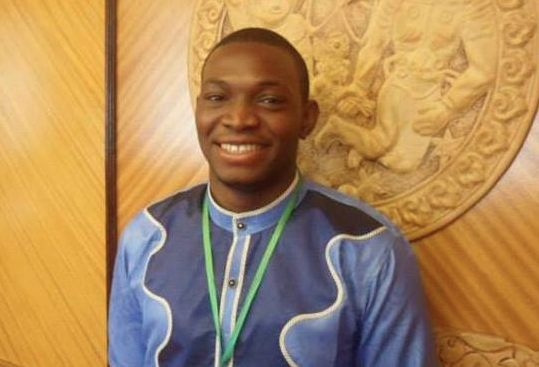 On September 12, 2013 we received a tweet from Freeman Osonuga, the founder of Heal the WOrld Foundation Nigeria, about his success through the One Young World Summit application. 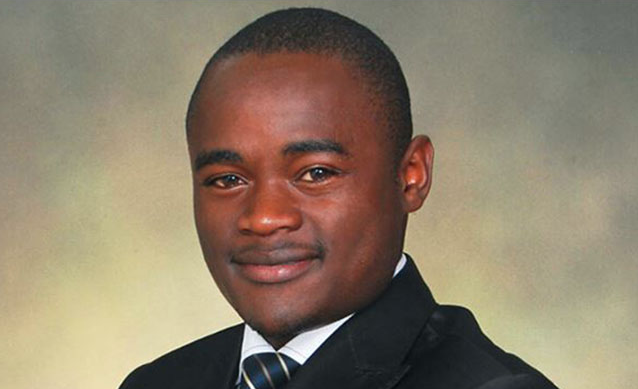 Freeman is one of 22 delegates from 20 Countries that have been sponsored by the MTN Group South Africa to the One Young World Summit, Johannesburg South Africa. 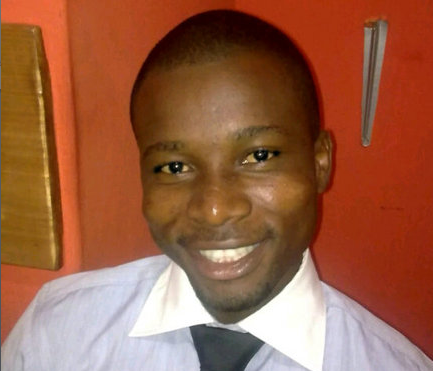 He has been an active Desk user and saw an opportunity on the blog that helped him get the sponsorship. We are excited to read from him. Read his message below. In 2010, as a Medical Student and without any formal corporate organisation's financial support, I started a non profit, non governmental charity organisation, Heal The World Foundation Nigeria, with the aim of caring for orphans, physically challenged and less privileged people in Africa. We have since catered for about 400 children and orphans in Ogun state. I was selected among the 22 delegates from 20 Countries that are been sponsored by the MTN Group South Africa to the One Young World Summit, Johannesburg in South Africa between October 2-5 and therefore will become a One Young World Ambassador by the end of the summit. Many thanks to Grace Ihejiamaizu and the Opportunity Desk team for making global opportunities available and accessible to Nigerians and Africans. Congratulations Freeman. We are proud of you and hope you represent your country the best way you can. Remember, this is a platform for you to shine, learn and network! Keep us updated! Do you have a success story you want to share? Send us your story now at opportunitydeskforyou@gmail.com. 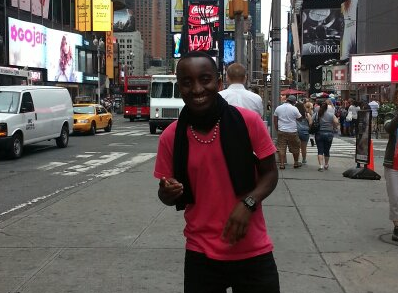 Théo Patrick Ntawiheba was in Pittsburg for the 2013 Hesselbein Global Student Leaders Summit, a prestigious opportunity he heard about from the Desk! We are excited about this and celebrate with him for this opportunity. I hope you are all doing well and working hard in whatever it is that you are working on. My name is Théo Ntawiheba. I am Rwandese and I go to NYU Abu Dhabi. I joined Opportunities Desk not so long ago and a couple of months down the line, I am already being exposed for many great opportunities. I was at the University of Pittsburg to attend the Hesselbein Global Student Leaders Summit which I was been selected for. This is a prestigious opportunity and I only got to hear about it when I joined Opportunities Desk. In addition, I have also been able to apply for a number of other opportunities that I probably would not have heard of if it was not for this page. Therefore, I encourage you guys to visit this page and as often as possible and take advantage of the opportunities available to us. One of the biggest challenges we face as youth if the lack of information. There might be countless opportunities out there but they only exist if you know about them. Please spread the word to your family, friends, classmates and lets all stay informed. All the best Théo and do keep us informed of any other updates. Hope your weekend is going great? 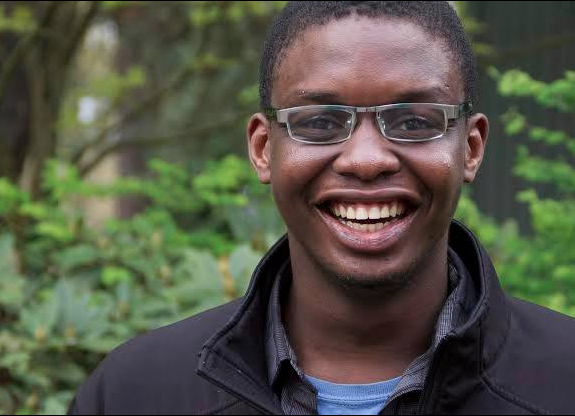 So we got a call from the young brilliant Chuks Emmanuel Enemchukwu who is a Nigerian but living in Portland, Oregon State, USA. We listened in awe as he narrated his experiences, shared some innovative ideas and expressed his gratitude towards Opportunity Desk for the opportunities he has gotten and the many more he is expecting. We could not wait to share this with you. There is more to Chuks Emmanuel and at opportunitydesk.org, we have our eyes on him - bringing you more stories in the future. Read below the message we received from Portland! I have been a member of this group for about a year, and during this period, Opportunity Desk has been of great importance in my personal and entrepreneurial journey. In January 2013, my group applied and got accepted to become a part of the Clinton Global Initiative University. We also applied for the Rolex grant competition, and we made it through the first stage of the screening process. Opportunity Desk made information about all these opportunities we took advantage of available. Access to opportunities is one of the biggest obstacles faced by many young change-makers today. Opportunity Desk has gone a long way to bridge this gap, and I beseech all passionate young people to join this group. No other group I have seen provides opportunities that are tailored to address the needs of young change-makers like Opportunity Desk does. Big shout out to Ms. Grace for shouldering such a noble and daunting responsibility. All the very best Chuks and thanks for writing us! We hope to hear more about your future accomplishments. As part of our commitment to providing the information on latest opportunities and useful resources, Opportunity Desk is proud to introduce a new monthly spotlight – Young Person of the Month. Opportunity Desk Young Person of Month aims to recognize and celebrate one Young Person worldwide every month who inspires others and whose life revolves around unique opportunities that have in one way or the other meaningfully shaped their thoughts, personal/career development, community engagement, innovation, breakthrough or social/global perspectives and actions. The featured young persons will come from all walks of life and can be of any age or background and their stories will be used to inspire other youths to prepare themselves and take advantage of opportunities presented on platforms like opportunitydesk.org. We believe that this will positively influence other youths who form a major part of opportunitydesk.org and other social media readership base. The First Ever Young Person of the Month was unveiled on Friday, April 5, 2013. Please leave your comments or thoughts below. Your comments are welcome.